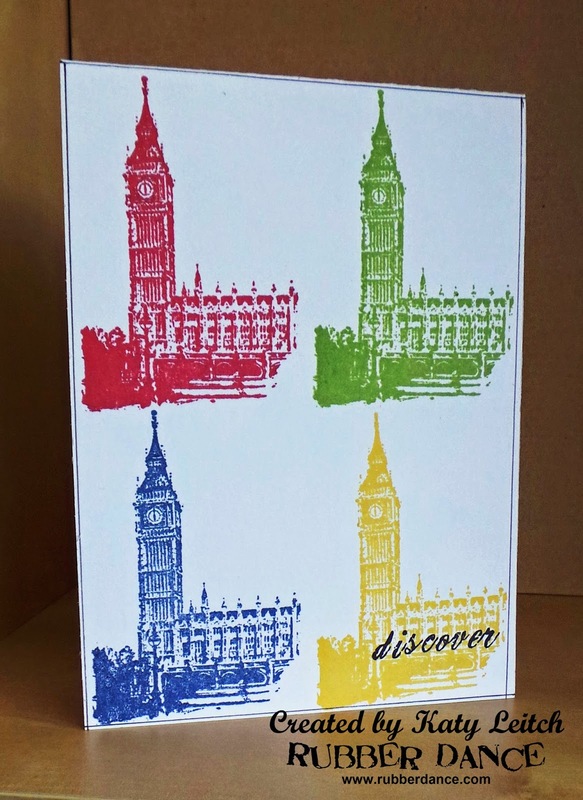 I've been inspired by Andy Warhol today for this quick and colourful card make, created using TR1-L: Travel set from Rubber Dance. At first glance this set shouts vintage but I wanted to use it in a different way. I started by dividing my card into four with very light pencil lines, then stamped the image in four different primary shades of Archival, once into each of the segments. To finish I stamped the word 'Discover' in black ink and drew a line around the edge to frame. Don't forget to play along with this month's challenge over at the Rubber Dance blog. Hope you like my card - see you soon! Like your card? My goodness - I *LOVE* IT!! Very, very cool. Sometimes less is more - much more. Thank you for making my Big Ben stamp look so awesome, Katy!! 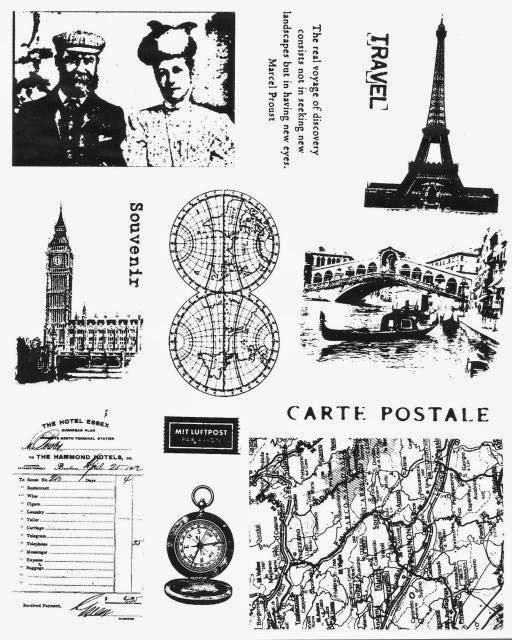 :-))) Now I'm inspired to try this with other stamps. TFS!